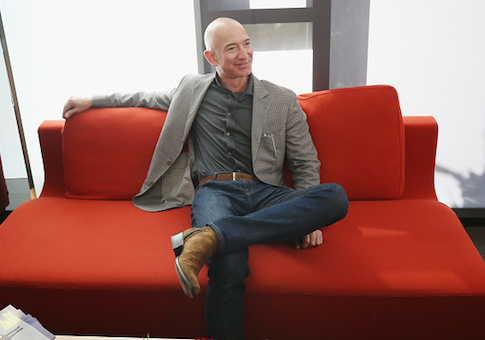 A Washington Post reporter challenged her newspaper's billionaire owner Jeff Bezos in a series of tweets on Monday to provide paid paternal leave and give female employees equal pay. National reporter Abigail Hauslohner linked to Bezos' tweet expressing gratitude to journalists and promoting the Washington Post‘s Super Bowl ad. The commercial, which cost $5.25 million, was narrated by Tom Hanks and highlighted the work of journalists to bring citizens the facts, "no matter the cost." "I am proud to report for @washingtonpost," Hauslohner wrote. "I’ve been shot at while on the job, & I’ve run [from] airstrikes. I’ve been threatened [with] arrest. [I've] lost brilliant colleagues who were far less lucky. But we report bc it matters; bc an informed public makes informed decisions. I wish however, that I didn’t have to give up my vacation & sick days & go wks w/out a salary in order to take leave w my infant daughter as I’m doing right now. Women reporters DO matter as much as male reporters, @JeffBezos. But we need your support. We need paid parental leave." "And we need equal pay," she added. "You can do it because it’s the right thing to do. Or you can do it because journalism matters. The truth matters. Journalists need to be able to do their best work. They shouldn’t have to choose btw work & family." Hauslohner wasn't the only Washington Post employee to call for Bezos to provide more benefits. Reporter Dan Zak linked to the same Bezos tweet on Sunday and wrote, "Now unfreeze our pensions, pay an equal wage, and strengthen maternity benefits." This entry was posted in Culture and tagged Jeff Bezos, Washington Post. Bookmark the permalink.